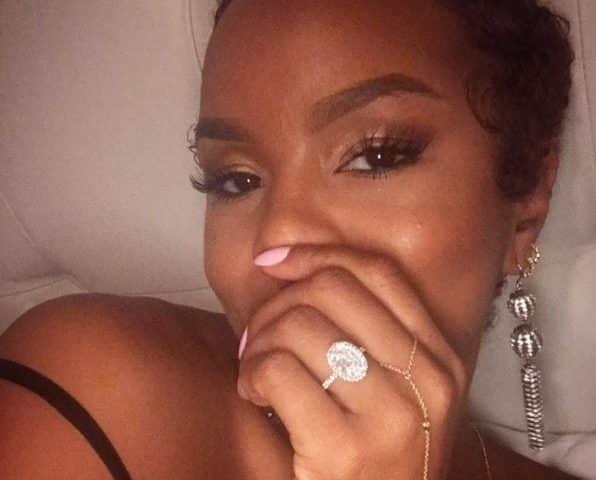 Watch Letoya Luckett’s Soon To be Husband Pop the Question! HSK found Letoya’s soon to be husband, Mr. Tommicus Walker. Swipe to see video and pics..
That one time @letoyaluckett planned a surprise Bday dinner for @iamtwalk2 but he had a bigger surprise for her ? Congrats y’all!!! Previous articleKirk Frost Is the Daddy of Jasmine Washington’s Baby…. Probably! Next articleSecond Teenage Girl Exposes Game for Slidin’ In Her DMs! I always thought Letoya Lucket was prettier than Beyonce. I guess daddy Mathew pulled some strings and blackballed Letoya. She has not done anything major since the breakup of Destiny’s Child. Her first album went platinum tho. I still have it on heavy rotation thou! Aaawwwhhh that’s cute!!!! Go Letoya!! !